I know the Power Plays Festival is underway, and I have told all my WTPers that I intend to see all three plays after Tuesday (once I have the first of my two readings accomplished), but I’m hoping to entice you to one of the two of Daphne Mintz’s play, In Lieu of Flowers. It’s the first of our two Summer Reading Series selections will be read at Actor’s Express this coming Monday and Tuesday, 7:30pm. Daphne Mintz’s romantic drama, In Lieu of Flowers, asks many questions about love and commitment and the possible moral ambiguities inherent in both. “A touching story immersed in a small community. Obviously a writer who understands that loving her characters without judgment is important.” — Celise Kalke. “I really like the mix of humor and heartache, and the earthiness of the characters — I appreciate their frankness at times…” — Caleb Boyd. I truly love this script and think Daphne is a talent on the rise. I also think that, while it’s still got some room to grow, it’s one of the best scripts WTP has ever produced and I am quite proud of that. WTP is a changed and changing organism. We now have 52 members – unbelievable! – and most of those new members are younger, about half of them African-American, and a little more than half female. What’s most exciting to me about this growth is that these younger, culturally diverse writers are writing and with a purpose. I hope to see you at either reading — the cast includes LaParee Young, Lorilyn Harper, Will Cobbs, Eugene Russell with narration by Emmy-award nominated writer / spoken word poet Jon Goode. You can also see the nominees or find out about the Award Ceremony by going to www.matawards.com for more information. One of the most enjoyable, thought provoking plays I’ve seen in a long time. Times past and present merge so artfully that every time I thought I knew where this play was going it moved in an unexpected direction, as life, past and present, does. 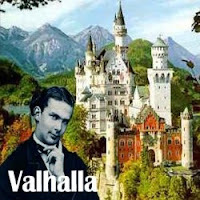 The acting, staging, direction of “Valhalla” have put this script on my “must read” list. Congratulations, Peter, for a grand kickoff for Essential Theatre’s 2008 Festival! Check out the 2008 Festival Videos to learn more about our productions. The support, encouragement and development of new plays by Georgia writers have always been an important part of the Essential Theatre’s mission. Ten years ago we committed to producing an annual festival that would always present at least one World Premiere by a resident Georgia playwright – after a couple of years, the selection process evolved into an actual contest, the Essential Theatre Playwriting Award competition. The first winner of the award was 18-year-old Lauren Gunderson of Decatur, whose play PARTS THEY CALL DEEP went on to win national prizes and was produced Off-Broadway. In the past ten years we’ve also produced new plays by Georgia writers such as Karen Wurl, Karla Jennngs, Bill Gibson, Karen Page, Valetta Anderson, Ellen McQueen and Jean Sterrett. Since we premiered it in the Essential Theatre’s 2006 Power Plays Festival, Larry Larson and Eddie Levi Lee’s CHARM SCHOOL has gone on to a successful production at Atlanta’s Horizon Theatre, and will next be seen at the Springer Opera House in Columbus, Georgia. When we started producing these annual festivals in 1999, it seemed to us that the best way for us to help Georgia writers was to give their plays a full production, rather than the staged readings which were pretty commonplace back then. I’m a playwright myself, and I’ve had productions and workshops and staged readings of my plays done all over the country – and there’s no question in my mind that you can learn more about a play from a full-out production than from even the best-intentioned reading. The set, the lights, the costumes, the (rehearsed!) actors, the audience – they’re all vital to the theatre experience, and to the fulfillment of the playwright’s vision. But you can’t produce every play of promise that comes your way – at least, we can’t, not right now. So, when interesting plays were submitted to the contest but failed to win the prize, we’ve tried to offer some development help to the writers – not as often as we’d have liked to, but we’re hoping to increase our efforts in that area. For a few years we’d present staged readings on dark nights of the Essential Festival. More recently we’ve taken a new approach – getting the playwright together with a group of actors, in a private setting, to read and discuss the play. A great deal of care goes into the selection of the actors for these readings – I think that the wrong group of actors can do a playwright more harm than good , leading them to think something’s wrong with the play, when it’s really the actors who are the problem. But when the right actors — not just talented, but well-cast — are reading a script, the playwright can get a much better idea what’s working and what isn’t. When the readers are bringing your work to life, making your words sound like everything you wanted and more – and then they come to a passage they just can’t make work, chances are you’ve got some rewriting to do. After these sessions, we encourage the playwright to do whatever revisions they want to – and then, after a while, we get them together with another group of actors to read the play again. (Sometimes the same actors, sometimes not.) And if that seems to go well, we’ll probably try to put together a staged public reading, to bring an audience into the equation. That’s the process we went through with APRIL 10, 1535, a play by Cheryldee Huddleston of Athens, culminating in a public reading at the Stage Door Players space in Dunwoody, in the winter of 2006. 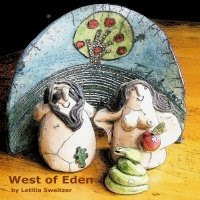 We also went through that two-reading process with WEST OF EDEN by Atlanta’s Letitia Sweitzer – but by the time of the second reading, the play (through some very simple and minor changes) had been improved so greatly that it was chosen for the 2008 Playwriting Award. We’ll be presenting its World Premiere in our 2008 Power Plays Festival, running in the Backstage Theatre at 7 Stages from June 27-July 27 this summer. Other shows in the Festival will be the Regional Premieres of Paul Rudnick’s historical comedy, VALHALLA, and Gina Gionfriddo’s drama AFTER ASHLEY. It’s always our policy to present our World Premieres by Georgia playwrights alongside the work of more nationally established authors, on an equal footing. Just recently we had our first development workshop meeting with Atlanta’s Pamela Turner, reading her play ME OWN PERSONAL HERO. This Ireland-set drama had already gone through some productive workshopping at Marietta’s Theatre in the Square and other places, but the playwright seemed to find our session with her both helpful and encouraging, and she’s planning to rewrite. We look forward to meeting with her again and seeing what she’s done. Coming up soon we’ll be having our second read-and-discuss with Glen Slattery on his play THE LEAST-LOVED NAZI, a dark fantasy-comedy set in the aftermath of the collapse of the Third Reich. We had our first reading of the play this past November, which was the last time I saw our dear friend Johanna Linden, who played the title role in the Essential’s 2007 production of Christopher Durang’s MRS. BOB CRATCHIT’S WILD CHRISTMAS BINGE. Johanna passed away a couple of months ago, and the 2008 Power Plays Festival will be dedicated to her memory. I’m pretty sure she was the one who encouraged Glen to bring his play to us in the first place. “West of Eden” has been a long time in the making. Indeed, I began, finished, and had produced another full-length play and several shorter ones between the beginning of “Eden” and now. After raising four children, I took up writing as a career, freelancing for magazines, and then writing nonfiction books with experts. In 2000, the Village Writers Group had a rather new ten-minute play contest, and they were encouraging people to enter. I’d never done a play. However, I had loved plays since childhood. I thought maybe I could do this. My little comedy about Adam, Eve, and their third son Seth won the contest, and one of the judges said I should expand it and send it to her theatre. I couldn’t see how to expand it, at first, and more than one person very experienced in theatre advised me not to. Nevertheless, with the promise of a theatre actually inviting me to submit and presumably willing to read it, I expanded the play to a one-act and changed the name because the original name didn’t make sense in the new version. The one-act was given a minor prize and a reading. I kept expanding it to include new ideas and characters, including the Serpent, until it was full length. I sent it to the artistic director where the judge had invited me to submit and it was promptly rejected as “not the kind of play we produce.” The value of the invitation was that without it, I wouldn’t have written the play. The value of the rejection was that Eden is a much better play now. Working Title Playwrights, a dynamic, supportive organization, based in Decatur, gave West of Eden two staged readings at different stages of rewrite. Finally, Essential Theatre’s Peter Hardy read it as an entry in Essential’s playwriting competition for Georgia playwrights. He wanted to workshop it, so we had private readings, after which Peter pointed out important improvements I could make, smallish things, you might think if I told you, that made a huge difference. Once I got those straightened out, the play was ready to go. As I write, we have not begun rehearsals and I expect there will be small changes in the dialogue as we go along. If it sounds too wordy in the mouths of the talented actors we’ve engaged, we’ll cut a few out, words, not actors. If an actor doesn’t quite understand a certain point, chances are the audience won’t either, so we’ll make a change there. I am happy to be in flux for a few more weeks after eight years of development! Why I chose Adam and Eve as a topic in my next post…. A few years ago, I directed the Essential Theatre’s production of Paul Rudnick’s THE MOST FABULOUS STORY EVER TOLD, which took a look at stories and themes from the Bible, seen through a gay perspective (starting in the Garden of Eden, with Adam and Steve). It’s still one of my favorites shows that we’ve ever done, and not just because it was funny as hell (line for line, I think Rudnick may be the funniest playwright working today). What I found most captivating about the script was the scope of its theatrical imagination and the depth and breadth of its exploration of spiritual issues. Expecting to read a campy joke-fest, I found that I had discovered a playwright capable of creating the kind of magic only live theatre can provide. I felt the same way when I read Rudnick’s VALHALLA, which was just opening in New York when our production of MOST FABULOUS was playing. I didn’t get around to reading it for some time, because I have to admit that a comic historical fantasy about an opera-obsessed European monarch of the 19th Century didn’t sound like something I could, uh, relate to. It turns out that Rudnick’s play isn’t just about Ludwig, the Mad King of Bavaria (he was a real guy – look him up). It’s also about two gay teenagers trying to grow up and find themselves in a small Texas town in the 1930’s and 40’s; it’s about Princess Sophie, “the loneliest humpback in Europe;”it’s about World War Two movies and song-and-dance numbers and fairy-tale castles and, yes, about opera. But mostly – I think – it’s about being willing to go mad to create something of beauty. Which is something that just about anyone who works in the world of non-profit theatre (and just about any art form) can relate to. I think VALHALLA is an incredibly funny play, but it also makes me cry, and that’s what made we want to direct it. That’s the kind of experience I’m hoping we can give to the people who come to see it. 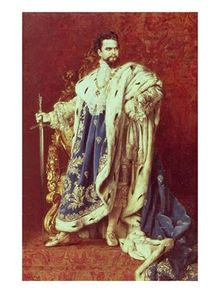 If you’d like to find out more about King Ludwig, go to http://en.wikipedia.org/wiki/Ludwig_II_of_Bavaria.